Oukitel, a Chinese handset company, has unveiled a new smartphone featuring a 10000mAh battery. Notably, the company was rumoured to be working on a smartphone with huge 10000mAh batterysince July. Priced at $239.99 (approximately Rs. 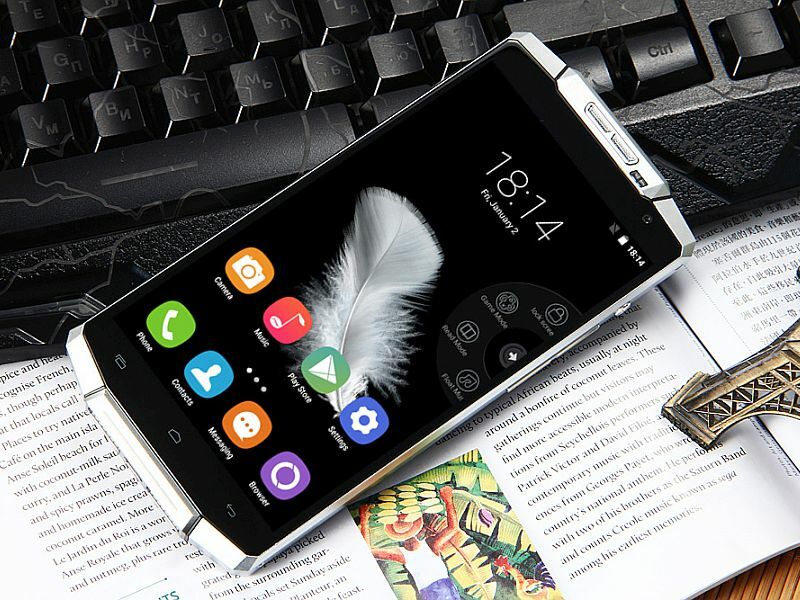 16,000), the Oukitel K10000 is now available to pre-order via a US-based e-commerce retailer. The company is also offering an introductory discount on the smartphone and is selling it at $199.99 (approximately Rs. 13,500). According to the online retailer, the K10000 will ship starting January 21. Notably, the company previously launched the Oukitel K6000 smartphone back in October featuring a 6000mAh battery. Unfortunately, the company has not revealed plans to launch the Oukitel K10000 in more markets as of now. Apart from a large 10000mAh battery, the new smartphone from Oukitel supports reverse charging, which allows users to utilise the handset as a power bank to charge other devices. The company claims that the battery on the Oukitel K10000 can charge three iPhone 6s Plus smartphones. For specifications, the Oukitel K10000 runs Android 5.1 Lollipop, and is a dual-SIM dual standby smartphone with 4G LTE functionality on both SIM card slots. The handset supports dual Micro-SIMs. The online retailer’s listing confirms that the handset supports Indian LTE bands as well. It features a 5.5-inch HD (720×1280 pixel) IPS display, and is powered by a 1GHz quad-core MediaTek MT6735 SoC coupled with 2GB of RAM. The Oukitel K10000 packs 16GB of inbuilt storage which can be expanded via microSD card (up to 32GB). It features an 8-megapixel rear autofocus camera, and a 2-megapixel front camera. The rear camera supports HDR, face detection, face beauty, Panorama shot, and anti-shake. Connectivity options include GPRS/ EDGE GPS/ A-GPS, 3G, Micro-USB, Bluetooth, and Wi-Fi. It measures 143x77x9mm, and weighs 184 grams.